Monopoly game. 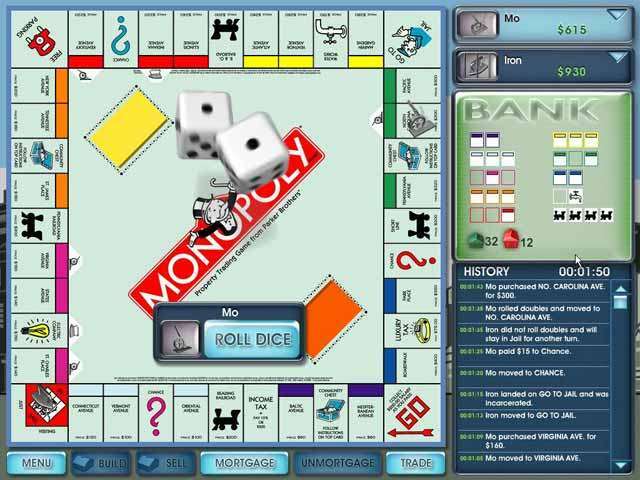 Free download Monopoly. Own it all with this amazing version of the best-known and loved Monopoly game that brings this timeless family treat to vivid life like never before. Roll the dice and watch the cleverly animated tokens bounce around the board. Challenge your friends and family to exciting Monopoly fun, or play against an advanced AI with multiple difficulty settings. Even change the rules to suit your own tastes and styles! A stirring update to a game that's been a family favorite for more than 70 years, computer Monopoly is a must-have for any game library. Whether you're creating new cherished memories, or rekindling your youth, Monopoly is always the favorite choice! 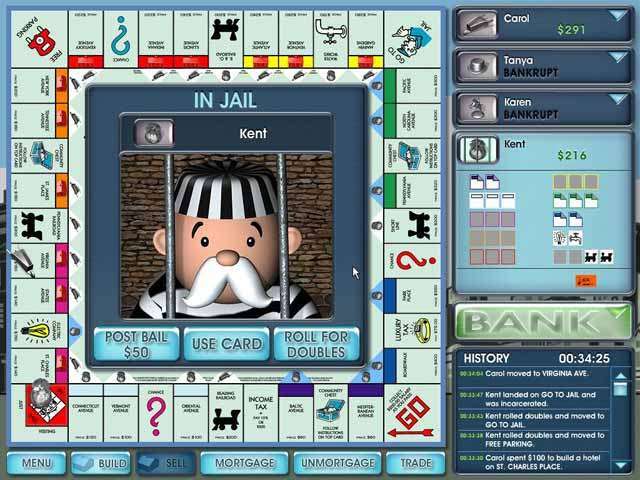 You can also download Monopoly games for iPhone, iPod touch, iPad. Thanks for you that let this game come out to pc because it rocks! Should be better if you can have it forever and not just 60 min because I hate when I play and when it goes good for me the trial is ending! But VERY GOOD! I think monopoly is the best toplay along with your family. And playing on PC is also a amazing experience. Thanks to those who brought this game on PC for us.